Twenty-two or 23 years ago, I would have never lived here. It was bad. You were seeing carjackings, you were seeing a lot of assaults, a lot of violent crime. We had pockets of gang activity. We had some on Stanford and we had ones off of Welch. There was Woodhead, Mandell, and Colquitt. The apartments in the 1700 block of Portsmouth are essentially where criminals lived. I pretty much stayed there in 1996 and 1997. There were so many places they could run – they’d bring cars in, strip them in the back alleys. Think about what’s changed in Montrose. Property value has gone up, there are a lot of different people living here now. These new homes came in, and they tore everything down so the gang members had to move somewhere else. Once that project went down everything changed. Richwood Place will have a recycling pickup this Monday, March 2. The City has changed our schedule from the B week to the A week, so this time we have service two weeks in a row. 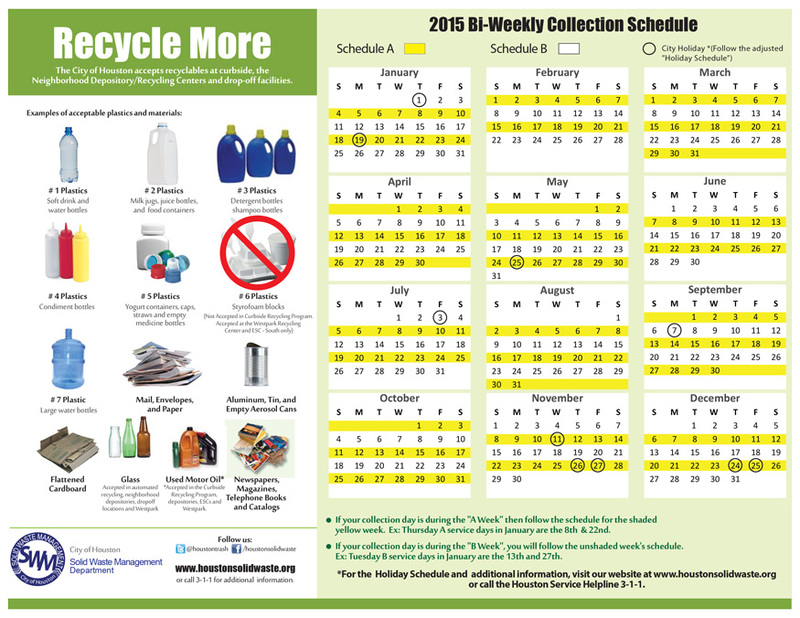 Then we go back to recycle pickup every second week with the next service on March 16. Please join your neighbors on Sunday (April 27th) @ 6pm at 1700 Lexington by the park. You can pay your membership dues, which will qualify you for a door prize and support RPCA. As part of the city of Houston’s continued efforts to bolster residential recycling, Mayor Annise D. Parker announced that food and beverage cartons are now recyclable as part of the city’s residential curbside recycling program. The addition of carton packages marks another innovation in the city’s successful recycling efforts, with nearly all household containers used by residents now being recyclable. To help get the word out to residents, the city is partnering with the Carton Council, a collaborative of carton manufacturers committed to expanding carton recycling in the United States, to launch a public education campaign to promote carton recycling. Residents that receive city of Houston curbside recycling collection service should place all empty food and beverage cartons in their green curbside recycling cart or bin, or residents can drop off their cartons at one of the city’s local recycling dropoff centers. Commonly used carton containers include milk and juice cartons, along with soup, broth and soy milk cartons. As a reminder, please continue to use your old recycling bins today and in two weeks (November 25th). The following week (not two weeks later) the schedule changes and the new begins can be used; on December 2nd, automated collection begins for the new bins and continues to be every other week thereafter. 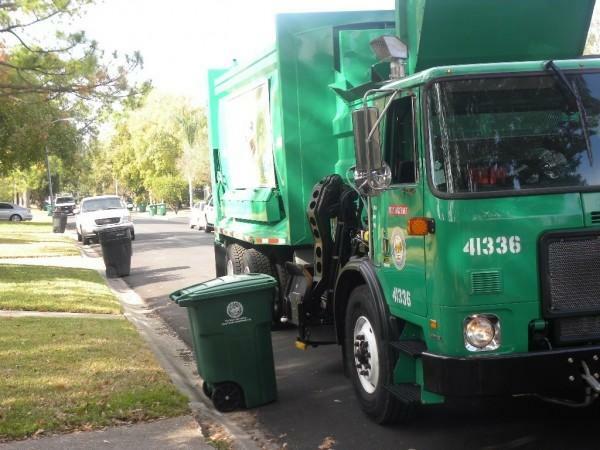 Richwood Place is on the list of neighborhoods that will receive new 96-gallon recycling bins that will begin to receive automated pickup service in November. In addition to increased capacity for recycling, the program now supports glass. October 9, 2013 – Houston Mayor Annise Parker announced today a more comprehensive electronics waste products stewardship program for Houston residents. Since September 2011, the City has partnered with CompuCycle to provide a permanent electronics recycling drop-off site at CompuCycle headquarters located at 7700 Kempwood and monthly mobile e-waste collections on Saturdays at three City of Houston recycling sites. With the new expanded service, residents will be able to drop off e-waste free-of-charge at storage facilities participating in the GREENspot DROPoff Houston Program. Cart delivery will begin the week of October 28, 2013, with the first collection occurring the week of November 25, 2013.